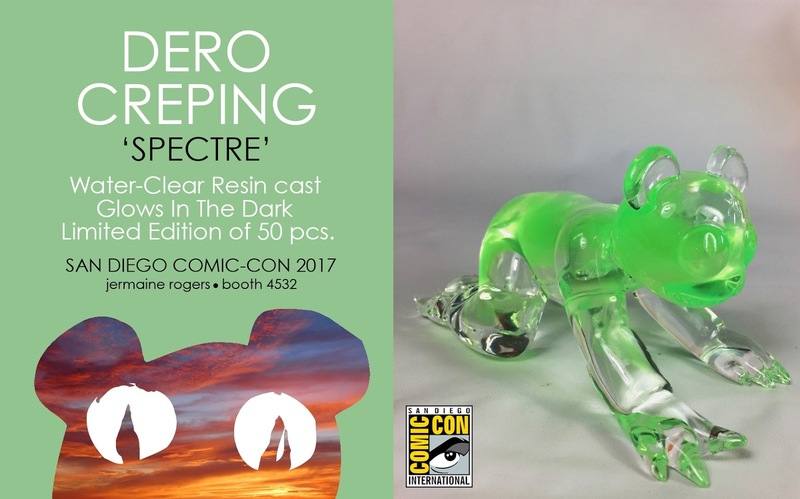 Jermaine Rogers’ popular Creeping Dero resin figure makes a surprise return to San Diego Comic-Con 2017! 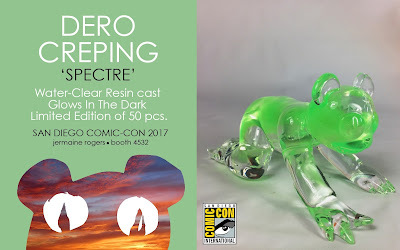 The Spectre Edition Dero Creeping is cast in water-clear resin with swirls of glow in the dark resin swirled through out, making each figure one of a kind. These look fantastic, don’t you think!?! 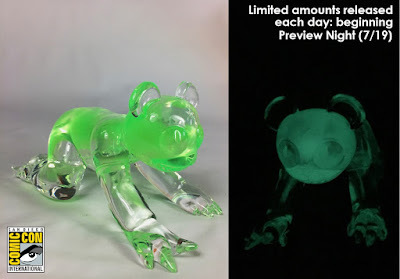 This wicked new colorway is 7” long and limited to 50 pieces. A limited amount will be released each day of the convention at Jermaine’s SDCC booth #4532 beginning on Wednesday’s Preview Night.